A heavenly harvest of local food and drink is coming to the next Bowhouse Food Weekend in Fife. Fife’s food hub, Bowhouse, is marking the summer harvest at its September Food Weekend with activities that celebrate local and organic food and freshly harvested grain on Saturday 8 and Sunday 9 September, from 10am-4pm. The line-up of artisan producers based at Bowhouse will be joined by a host of the best makers from Fife and beyond alongside the Scottish Soil Association to celebrate Organic September. 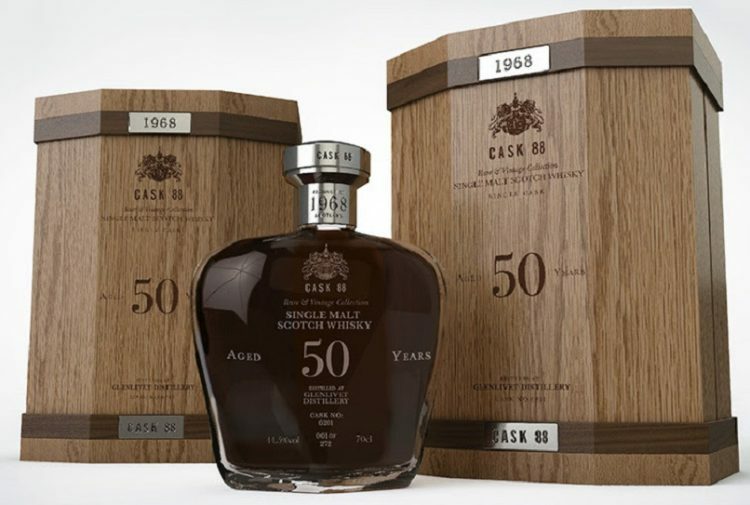 Bowhouse is based on Balcaskie Estate, which is converting to organic status. It’s also Sourdough September and Bowhouse maker Scotland the Bread will be leading a series of hands on sourdough sessions. Visitors will be invited to make their own slow-rise sourdough loaf to bake at home using grains grown in the fields around Bowhouse and the new mill facilities from Scotland the Bread. This is the ideal opportunity to find out more about the real bread movement and the difference between properly made bread and mass-produced loaves. Scotland the Bread has this year grown its first range of nutritious and traditional grains on Balcaskie Estate, where Bowhouse is based. They will be harvested and milled at Bowhouse to produce a range of flours that is nutritionally strong and good for the soil in which it is grown too. There will be sourdough sessions each morning and afternoon (booking available on the day). As at previous markets, the Food Weekend has attracted a cornucopia of producers from around Scotland, including beers and ales from Perthshire Abernyte Brewery; baked goods from Erincroft Bakery; cheese from the Isle of Arran; and cured meats from Edinburgh-based East Coast Cured. In addition to the market stalls, the dedicated street food quarter returns with Fish & Frites from Anstruther serving delicious fish and chips freshly sourced from the East Neuk of Fife, burgers from Blackhorn in St Andrews, all washed down with drinks from The Fizz Bar Scotland’s retro wine and frizzante van, award-winning craft brewers St Andrew’s Brewery and Bon Accord soft drinks. Visitors can enjoy an array of such delicacies, accompanied by music from local musicians. 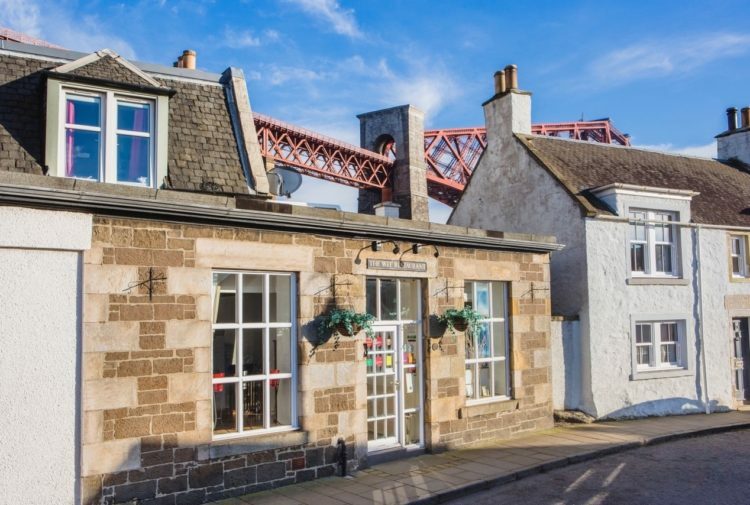 Situated just outside St Monans in the East Neuk of Fife, Bowhouse runs its free-to-attend Food Weekends monthly, providing an opportunity to see, discuss, taste and buy the best local food and drink from Scotland’s artisan producers. 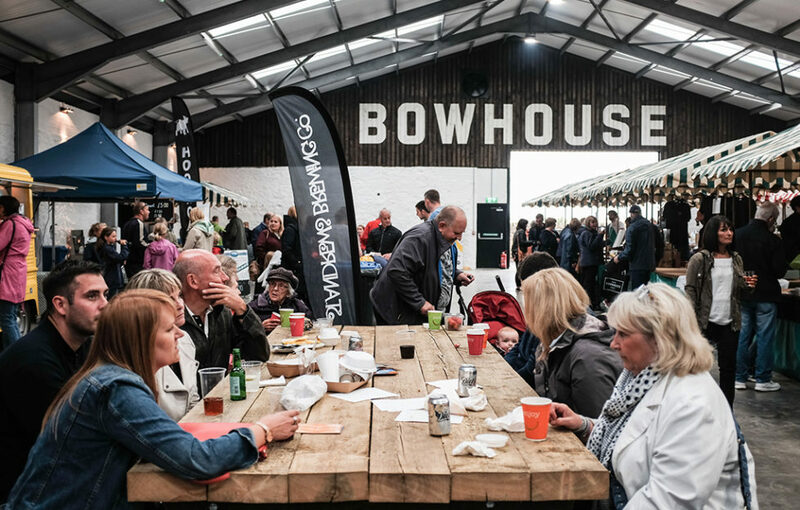 Bowhouse welcomes a changing roster of the best producers from Fife and beyond to the food weekends, and in July celebrated a record number of visitors through the doors, making the markets one of the biggest regular food and drink events in Scotland. 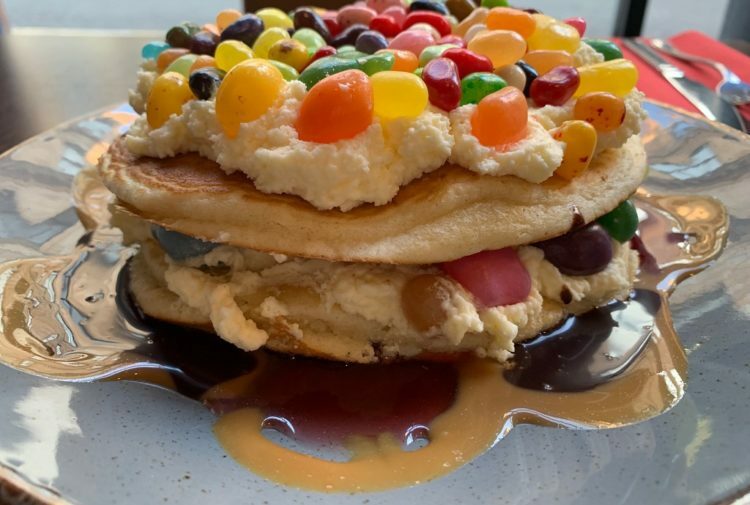 · Bibi’s Little Bakery – a local bakery creating a range of macarons. · Futtle – an organic brewery specialising in farmhouse ales inspired by the East Neuk coastline. 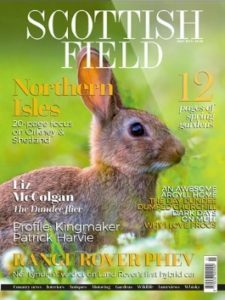 · Keeping the Plot – florist is growing cut and edible flowers in the fields around Bowhouse. · Langoustine the Box – this company works with local shellfish fishermen to make langoustine, lobsters and crab available to the public. · The Loft at The Mill House – a new café that produces wood fired pizzas on site in a due to open this autumn. · Mara Seaweed – this innovative business uses Bowhouse as a base while they forage for seaweed on the shore nearby. · Minick Butchers – this local artisan business is experimenting with maturation techniques in meat at his Bowhouse facility. · Scotland the Bread – a not for profit organisation milling and baking bread from wheat grown in Balcaskie Estate. Bowhouse is continuing to attract a crowd of food-curious from across Fife and beyond and travel to the venue is easy. Train stations at Kirkcaldy and Leuchars are stops on the main East Coast Mainline with regular services to Edinburgh and Glasgow. Stagecoach bus services 95 (Leven–St Andrews) and X60 (Edinburgh–St Andrews) stop nearby. The popular seaside holiday town of Elie is just three miles away and a popular cycle ride along the Fife Coastal Path.